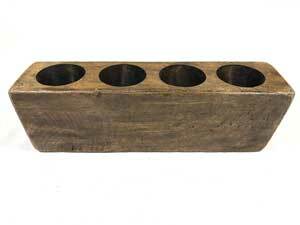 If you’re not familiar with antique sugar molds, they are those long blocks of wood that have holes in the top. Originally, they were used for forming sugar into cones. However, now you quite often see them as home decor pieces. 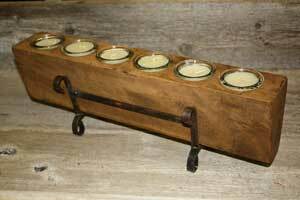 Most of the time you will see them in farmhouse style or other rustic homes. 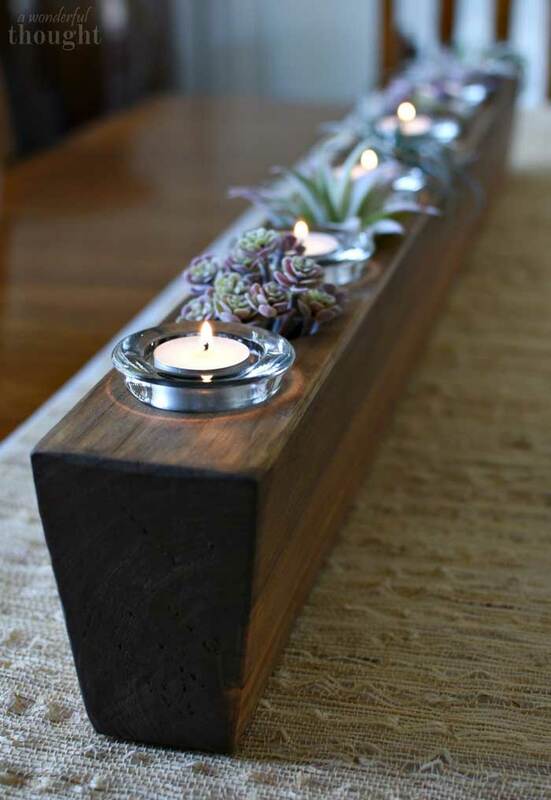 The unique design of the wood makes them easy to repurpose into decorative items for the home. Whenever my husband and I travel, I like to visit the local antique shops. Quite often I will find things that I don’t readily see closer to home. On our latest trip to Nashville, I spotted an antique sugar mold and was super excited to pick it up. I have seen them used in decorating but hadn’t run across one before. There were a couple of ideas that I had in mind for using it which led me to create this post. The following sugar mold decorating ideas will inspire you to go out and find one if you don’t already have one to use. In case you have difficulty finding an antique sugar mold, there are some reproductions that are available for sale. Here are a couple of good choices. You can get the sugar mold reproductions in a variety of lengths from Amazon. The long the mold, the more holes that are in the top. The stands for the sugar molds are sold separately and are a great way to display the wood. Of course, you can also make your own sugar mold from scratch. That way you can customize it to the exact size that you want. Check out this tutorial for making your own. Once you have a sugar mold, there are a variety of ways to use it in your home. Here are some of my favorite ideas. I’ll start with my antique sugar mold. Since I like fairly simple designs, I just fit glass votive holders into the holes at the top and filled with candles. Most likely, I will switch it up for various holidays with different color candles and added decor. 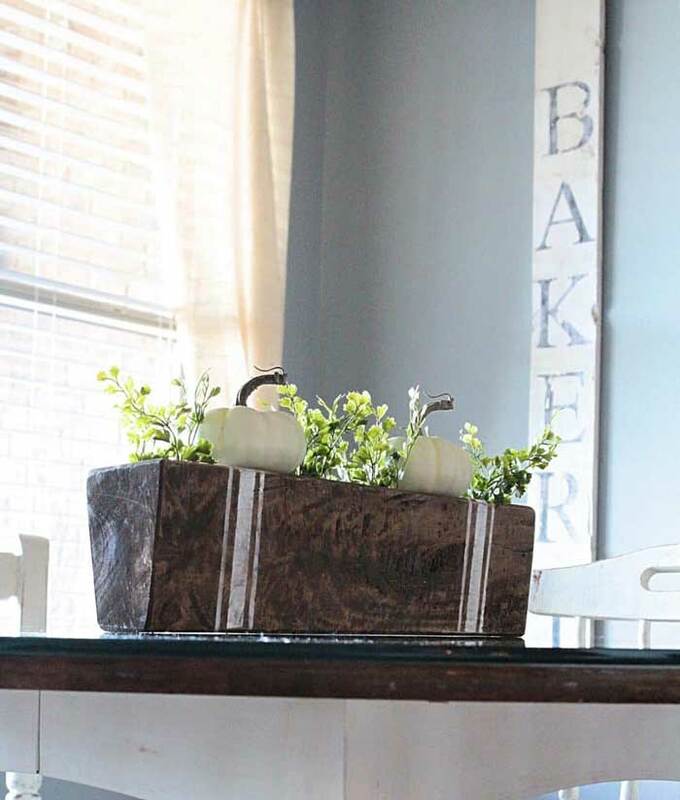 A little white wash of paint softens the look and adds some chicness. Use real or faux pears to top those holes and add some color. 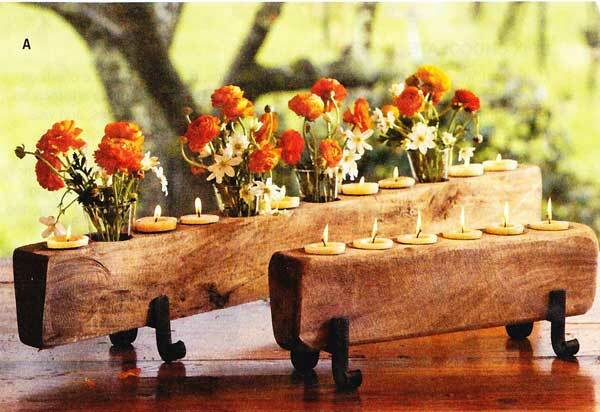 This idea makes a beautiful centerpiece for entertaining. Other fruity ideas are shiny red apples, lemons and limes, or mini pumpkins. It all depends on the color that you want to highlight and the season. Another great way to fill those holes is with mini potted plants. You can really have fun with the variety of plants that you choose. 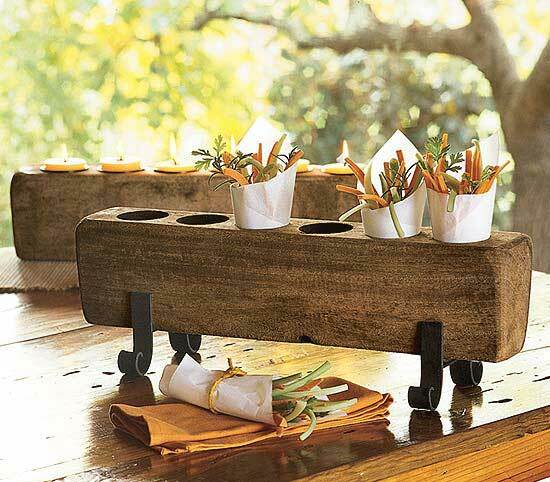 This would also be great for planting an herb garden. Place the sugar mold in the kitchen to have all of your herbs handy for cooking. Add a little decorative styling by painting on some grain sack stripes. 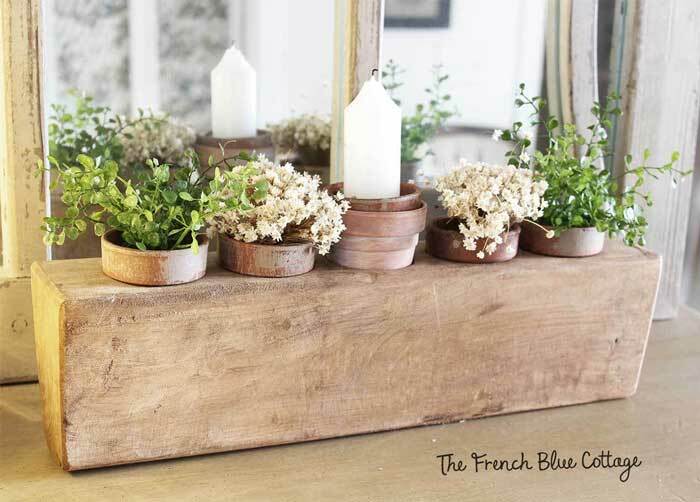 This is a great way to enhance an already farmhouse style centerpiece. 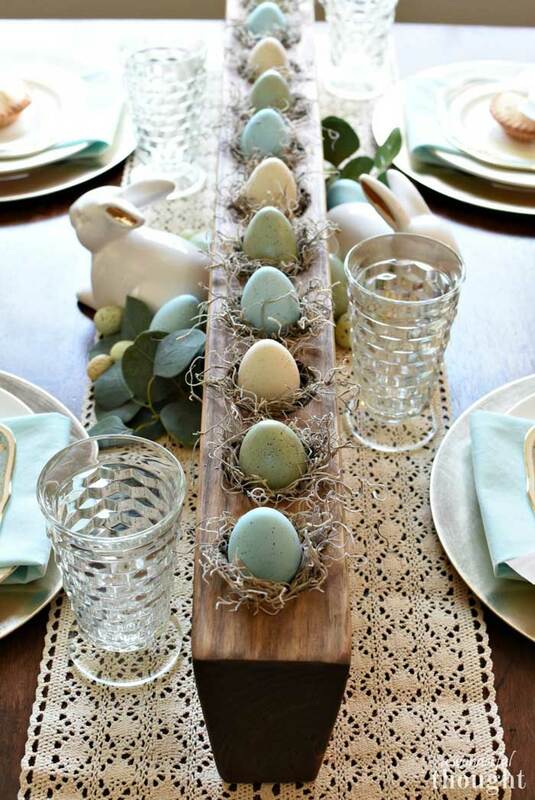 I love this idea for an Easter centerpiece. It’s like the sugar mold was made for the purpose of displaying eggs! The Spanish moss makes some pretty little nests for keeping the eggs in place. 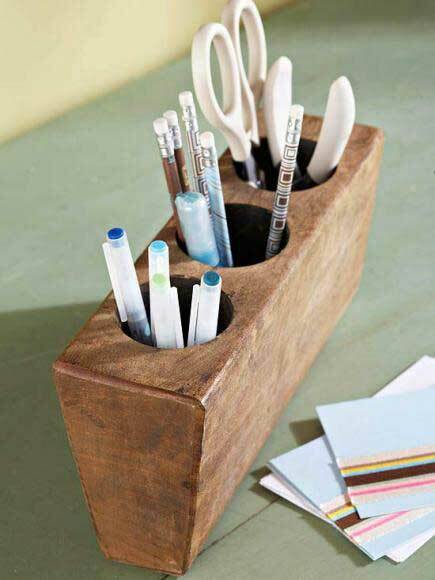 An antique sugar mold makes the perfect desk organizer. Separate out pens, pencils, markers, and scissors in their own sections. 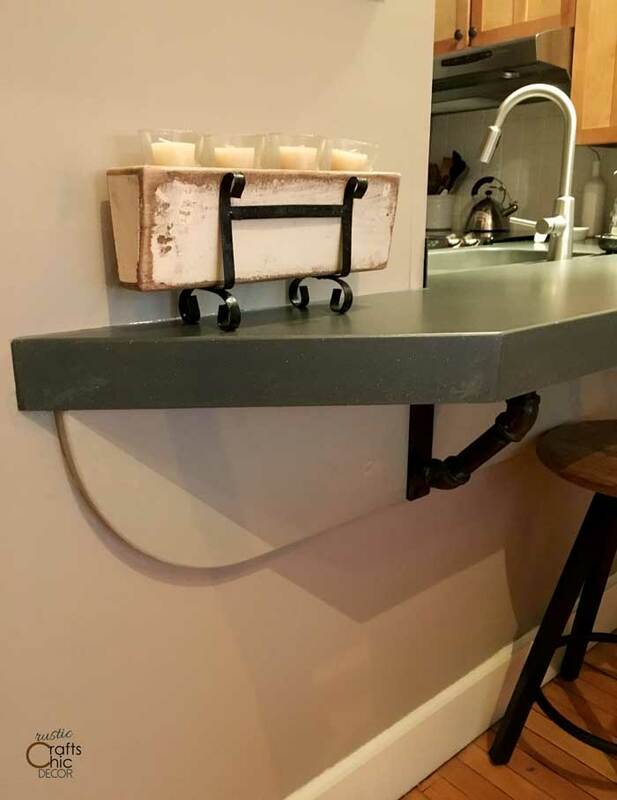 This would also be great to use in the craft room for paintbrushes and other supplies. Or, how about in the bathroom for make up brushes and eye liner? 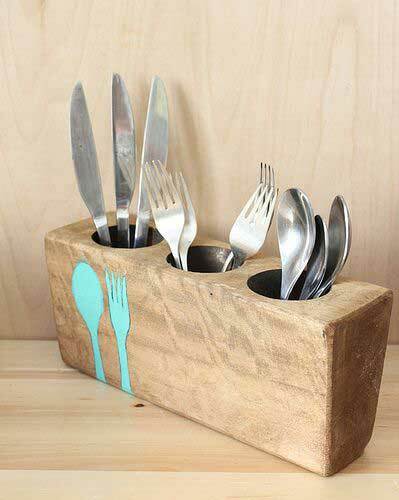 Don’t worry about how you are going to store your silverware at your next dinner party buffet! A sugar mold will keep your utensils handy and organized. This gives me another idea of storing cooking utensils or wooden spoons close to the stove. In keeping with the same theme of entertaining, the sugar mold holes are also great for holding snack wraps. 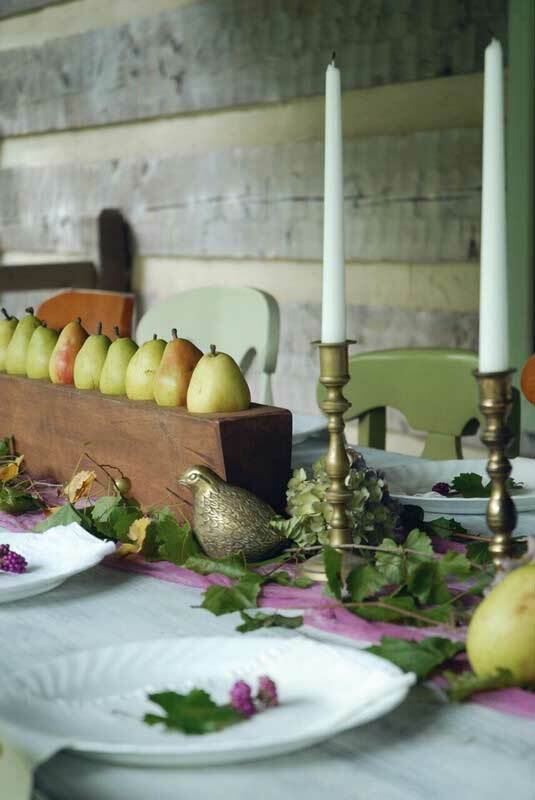 The wood adds such a warm and rustic element to the table and makes the snack display so inviting. 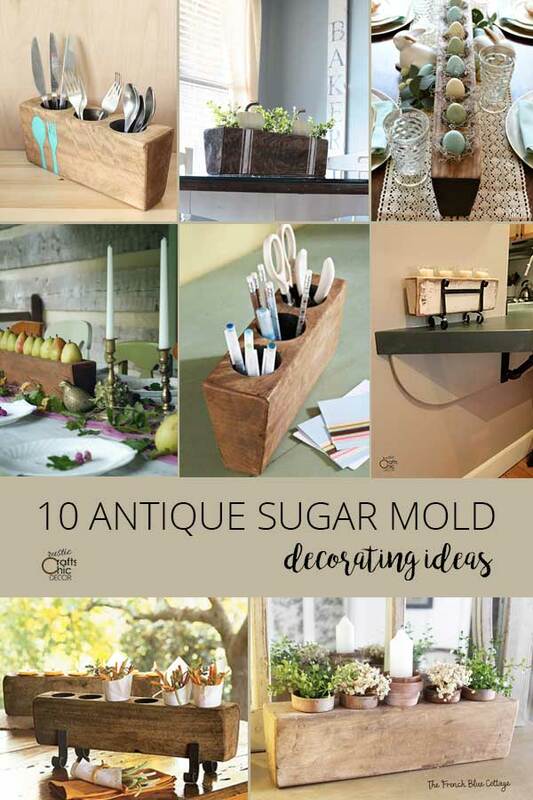 Why decorate with just one antique sugar mold when two can be so much better? The varying sizes make the display all the more interesting. Get elaborate with one and stay simple with the other.